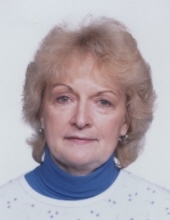 Joan Kay Sperry, age77, of Plymouth, WI, passed away on Monday , November 12, 2018 at the Sharon S. Richardson Hospice Facility in Sheboygan Falls after a hard fought battle with cancer. She was born on September 18, 1941 in Darlington, WI, a daughter of the late Wade and Florence (Tresner) Sperry. Joan graduated from Darlington High School in 1959. She attended Lakeshore Technical College – Clothing Services graduating in 1979. On July 1, 1961 she married Lawrence R. “Larry” Hicks in Darlington. The couple resided in Cedarburg for 9 years before moving to rural Waldo. Larry preceded her in death on July 5, 1978. On October 3, 1980 she married Dennis Rosenberger. The couple resided in Plymouth until 1997 then moved to Kiel. Dennis preceded her in death on May 16, 2002. Joan moved back to Plymouth in 2002. Joan worked at Plymouth Furniture for 20 years before retiring in 2006. On August 13, 2012, she married Lyle Dysert Jr. at Good Shepherd Lutheran Church in Plymouth. She enjoyed many hobbies like gardening, especially flowers, knitting, crocheting, sewing, tailoring, quilting, oil painting birds and flowers, decorating, hiking in the Kettle Moraine, year round stays at their cottage in Dundee on Long Lake. Joan was fortunate to have traveled extensively domestically as well as foreign travels to Mexico, all provinces of Canada and Ireland. all of Fond du Lac, Alyssa (Cody) Preder and their children; Jett and Lyla Preder all of Appleton. She is also survived by many nieces, nephews, other relatives and friends. She was preceded in death by her parents; Husbands: Larry Hicks and Dennis Rosenberger; Son: Steven Hicks; and Brother: Donald Sperry. Following Joan’s wishes, cremation has taken place and a memorial service will be held on Saturday evening (November 17, 2018) at 5:00 P.M. at Suchon Funeral Home in Plymouth. Rev. Charles Heup, Pastor of Good Shepherd Ev. Lutheran Church will officiate. Private inurnment will be at St. Rose Cemetery at Five Corners, next to her first husband, Larry Hicks. Visitation will take place on Saturday (Nov. 17) at the Suchon Funeral Home from 3:00 P.M. until time of services. In lieu of flowers, a memorial fund is being established in Joan’s name to Good Shepherd Ev. Lutheran Church, N 5990 Country Aire Road, Plymouth, WI 53073. To send flowers or a remembrance gift to the family of Joan K. Sperry, please visit our Tribute Store. "Email Address" would like to share the life celebration of Joan K. Sperry. Click on the "link" to go to share a favorite memory or leave a condolence message for the family.